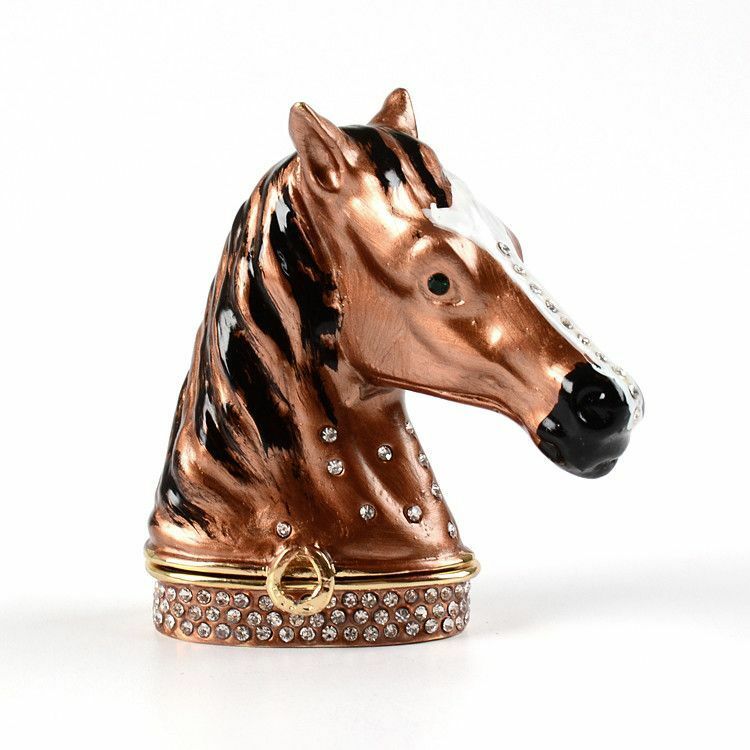 This beautiful brown horse head trinket box has just enough room for your jewelry, money, or other small accessory. 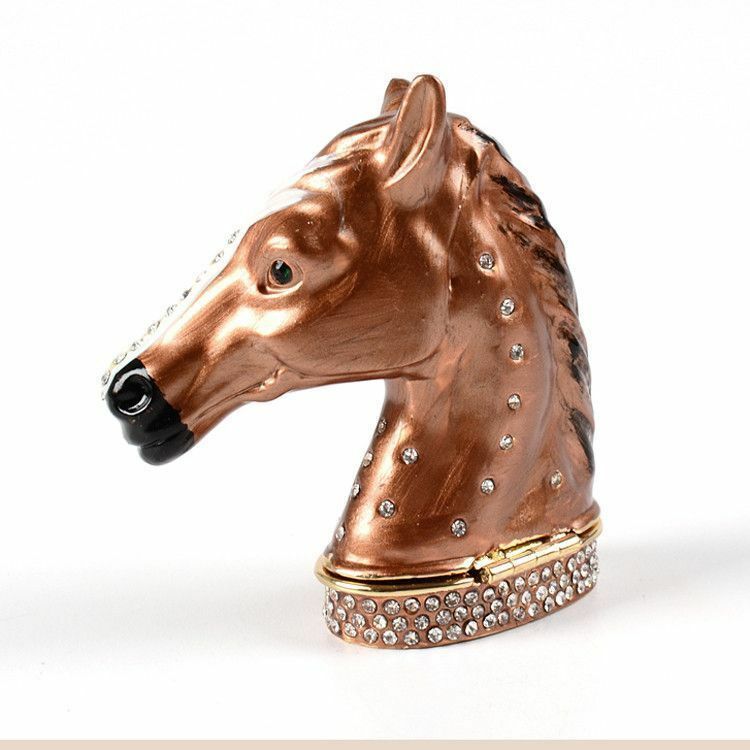 It is made from pewter and built to last. 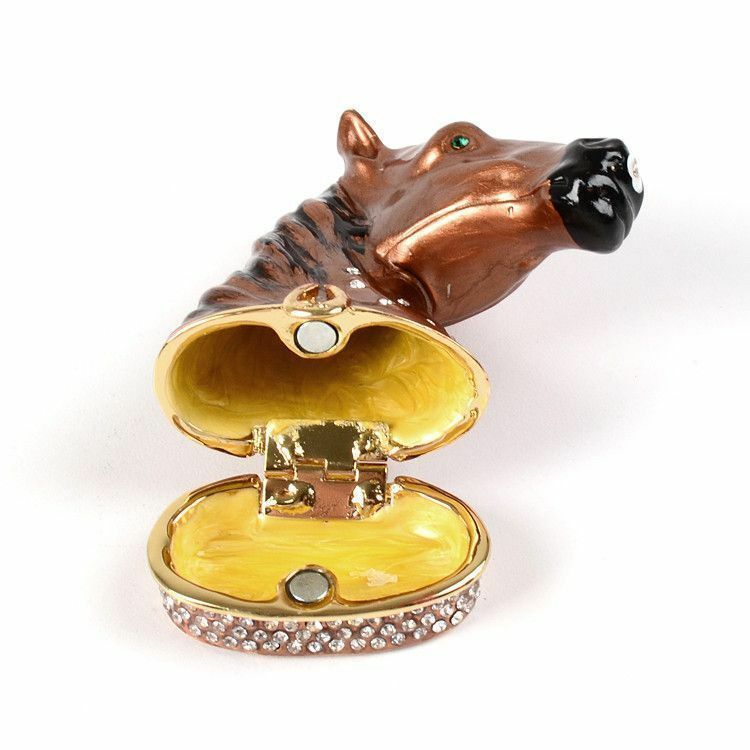 It contains one magnet to keep your items secure. 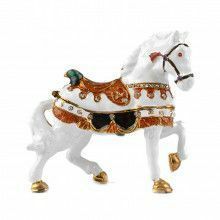 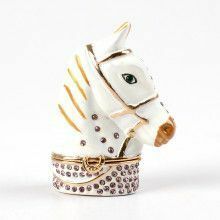 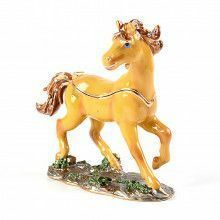 Decorated with many small clear Austrian crystals, this animal keepsake has just the right amount of sparkle!